Like a fine red wine, this Burgundy Ceremonial Grand Opening Ribbon appeals to those with great taste. Shop this ribbon for your ribbon cutting ceremony in options of 4 in X 25 yds or 4 in X 50 yds. Dark Brown Ceremonial Ribbon in 4 inch width X length options of either 25 Yds. or 50 Yds. A perfect combination of a solid dark chocolate brown and the soft satiny shine of our ribbon. Elegance at its best. 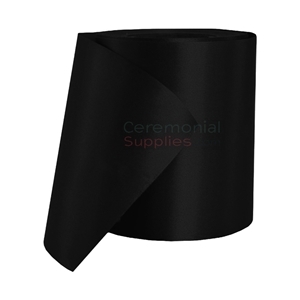 This Gala Black Ceremonial Ribbon features a soft satin shine that makes your ceremonial stage a perfect setting for a prestigious event. It is available in 4 inch width X 25 or 50 yards in length. Add a little sunshine to your ribbon cutting with this beautiful hue of yellow. 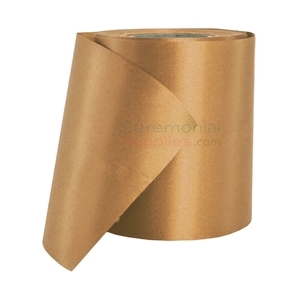 Highlight your ceremonial stage with options of 4" W X 25 Yards or 4" Width X 50 Yards. 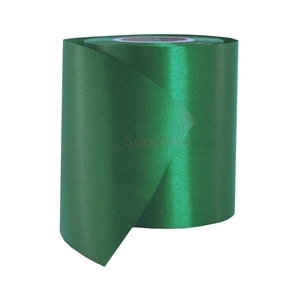 The Green Grand Opening Ribbon features an impeccably glossy satin finish to brighten up your ceremony. The ribbon comes in widths of either 4 or 6 inches and lengths of 25 or 50 yards depending on your needs.